As you explore your financial aid options and begin the application process, we know you will have many questions. The Q&A below is designed to provide answers to the vast majority of questions we hear from students. The first step in applying for financial aid is to complete the Free Application for Federal Student Aid (FAFSA). This is an online government form found at fafsa.gov. For more information Click Here. 2. What types of financial aid are available? By completing the FAFSA, you will be applying for federal, state (NC residents), and institutional grants, parent and student loans, and the federal work study program. For more information Click Here. 3. What if I'm a graduate student? Graduate students can be considered for federal student loans and institutional grants. They are not eligible for federal or state grants. 4. What if I'm in a certificate program? Students enrolling in certificate programs are not eligible to receive financial aid, unless they are enrolled in the teacher certification program. 5. What if I am seeking a second bachelor's degree? Students who are seeking a second bachelor's degree can be considered for federal student loans at the 5th year undergraduate level. They are not eligible to receive federal or state grants. 6. What if I'm transferring to WCU in the spring or summer? Will my financial aid transfer, too? Although you may be eligible for some of the same types of aid, you will need to go through the full awarding process at WCU. To begin this process, you will need to log in to your existing FAFSA to add our school code (002981). 7. What is WCU's school code? 8. Is there a deadline to apply? January 1st is the priority deadline for students to apply for aid for the following fall. If you apply after January 1st there may be less aid available to you. For spring and summer semesters, we need to receive your FAFSA information at least 8 weeks prior to the start of your classes in order to allow adequate time for the awarding process. 9. What do I do after I have completed the FAFSA? Once we receive your FAFSA information, we will post in your myWCU account any additional documents we need from you in order to award your financial aid. 10. My student aid report (SAR) shows that I have been selected for verification. What does that mean? The federal government selects financial aid applicants at each school to go through a process called verification. This means that we will be asking you to submit specific documentation to confirm that the information on your FAFSA is correct. If you are selected for verification, it can take several weeks for this process to be completed. If you are selected, you must complete the verification process before you can be awarded financial aid. Click Here for more information about this process. 1. How will I know if you need information from me? You have access to your myWCU account 24 hours a day, 7 days a week. All requirements for your aid are listed there. You will also receive an email from WCU Financial Aid alerting you to check your myWCU account. 2. Do you need copies of my tax information? You only need to submit the documents that are posted as requirements for you in your myWCU account. 3. My account says I have to be admitted to a degree-seeking program. What does this mean? This means that you must be admitted to the university before we can process your financial aid request. Please contact the Office of Admission (undergraduate students) or the Graduate School to be sure they are not waiting for information from you in order to make an admission decision. If you are currently enrolled at WCU and you receive this message, please contact our office immediately. 4. Why haven't I received my award information yet? Either we are waiting for information from you (i.e. your FAFSA or other requested documents), or we have not yet started making awards for the term for which you have applied. Please be aware that the awarding process can take several weeks from the time that you submit your documents to our office. 5. Is it acceptable to fax documents to your office? Yes, we will accept most documents by fax. For security purposes, our faxes are received into a data file and then uploaded the following day. For this reason, we cannot immediately confirm receipt of your fax. Documents will display as received in your myWCU account within 2 business days. Our fax number is 828.227.7042. 1. Will I receive my award letter in the mail? Your award will display in your myWCU account once your award is made. We do not mail award letters to students, but you will receive an email from WCU Financial Aid alerting you that your award has been determined. 2. When will I receive my award information? Awarding for the fall semester usually begins in early April. Spring awarding usually begins in early November and summer awarding usually begins in early April. Please be aware that the awarding process can take several weeks from the time that you submit your documents to our office. 3. What does "Cost of Attendance" (COA) mean? Cost of attendance is the term used to reflect an estimated cost for a designated period of enrollment. It is not the same thing as your billing charges. You will not be billed for the amount of your cost of attendance. This amount includes allocations for tuition and fees, books and supplies, room and board, transportation, and miscellaneous personal expenses. It also reflects the maximum amount of financial aid you can receive for that timeframe. Click Here to see the cost of attendance. 4. What is an "Expected Family Contribution" (EFC)? The EFC is a number derived by using the federal methodology formula taking into account all of the information you have supplied on your FAFSA. It reflects the contribution your family is expected to make towards your college education. 5. How can I apply for state grant funding? By completing the FAFSA, you have already applied for state grants. Your eligibility will be determined by using your FAFSA information. 6. What determines whether I receive grants or not? In order to be eligible for grant funding, you must demonstrate financial need. To determine whether or not you have financial need, subtract your EFC from your COA. (COA-EFC=financial need) If the number is positive, you will be considered for grants. If the number is negative, you are not considered to have financial need and will not be considered for grants. 7. How do I apply for federal student loans? By completing the FAFSA, you have already applied for federal student loans. If you are eligible to receive any type of loan, it will be offered to you in your initial financial aid award after you have been given all of the grant money for which you are eligible. You can then decide whether or not you would like to accept the loans that have been offered to you. 8. How do my parents apply for the Federal Direct PLUS Loan? If there is room in your COA budget for a parent PLUS loan, it will be included in your original award offer. To apply for the PLUS loan, your parent will need to go to studentloans.gov to make application. They can accept the amount listed on your award or any lesser amount of their choice. The amount of the loan will be divided evenly between fall and spring semesters. **Please note that the PLUS loan is subject to credit approval. 9. I have been offered several different types of loans. What is the difference? Subsidized and Unsubsidized Direct Loans are student loans repayable after graduation as long as the student remains enrolled at least half time. The student is responsible for repayment. Students receive a six month grace period following enrollment prior to beginning repayment. Subsidized loans do not accrue interest while the student is enrolled in school. PLUS loans are parent loans. The parent is responsible for repayment. Repayment begins 60 days after the final disbursement of the loan, which is typically late March/early April. Parents CAN REQUEST that repayment of their PLUS loans is deferred until after the student graduates. PLUS loans are subject to credit approval. Perkins loans are student loans repayable after graduation as long as the student remains enrolled at least half time. The student is responsible for repayment. Students receive a nine month grace period following enrollment prior to beginning repayment. There are options for loan forgiveness for students entering certain fields of employment. Click Here for more information on student loans. 10. What determines the amount of loans I can borrow each year? Annual borrowing limits are determined by the type (Dependent, Independent, Graduate) and grade level (Freshman, Sophomore, Junior/Senior) of the student. 11. Will I have additional loan eligibility when I go up a grade level? Based on changes in the number of credit hours a student completes over the course of a semester a student's grade level may increase which would increase their loan eligibility for the academic year. For example, if a sophomore completes enough credits in the fall semester making them a junior in the spring semester of the same academic year they may be eligible for a loan increase if they have not already received aid up to the cost of attendance. Please refer to the annual borrowing limits to see if you have progressed to the next grade level. If you have determined that you are eligible for additional loans based on a grade level increase you may send a formal request via email to our office. Please include your name and 920 student ID number with your loan increase request. 12. What do I need to do to accept my awards? Loans and work study will be on your myWCU account in an offered status. You will need to go to the "accept award offers" tab on your award overview and accept the awards you would like to receive. Other types of money have already been accepted for you. If you accept student loans, you will also need to complete entrance counseling and sign a master promissory note if you have not done so in a prior year. Parents apply for the PLUS loan at studentloans.gov. They will also need to sign a master promissory note on that same website if they have not done so in a prior year. 13. What if I'm also taking courses at my local community college? Can I get aid at both schools? No. You can only receive financial aid from one school. 14. What if I originally said I didn't want loans, but now I do? If you have already declined your student loans through your myWCU account, you will need to contact the Financial Aid Office via Catamount email to request that your loans be returned to an offered status. You will then be able to accept all or a portion of the loans by going to your award overview tab in myWCU. For parent loans, the parent will need to apply for the loan at studentloans.gov. 15. Why didn't I receive a merit scholarship as part of my award? Merit scholarships are not based on financial need and are therefore a separate process. Please contact the Honors College for additional information about Merit Scholarships. 16. Will I get the same financial aid every year? Not necessarily. You must reapply for financial aid each year. Any changes in your household could affect your EFC, which will affect your eligibility for certain types of aid. The timing of when you complete your FAFSA and other required documentation can also affect the aid you receive as certain funds are limited and are awarded to early applicants. Many assistance programs are tied to federal and state funding and are subject to changes in awarding criteria, reduction in available funds, or complete elimination. 17. I was awarded grants and loans, but I really only want the grants. Do I have to accept the loans in order to receive the grants? No. Each funding source is different. You are under no obligation to accept one type of fund in order to receive another. If you are offered loans, you decide whether you want to accept all that are offered to you, none that are offered to you, or only a portion of what has been offered. Please borrow wisely and only accept what you truly need in order to minimize your loan debt. 18. My financial aid award has already been made, but now I have been offered a scholarship. Will that affect my financial aid award? Maybe yes, maybe no. This is different for every student. Some students lose other funds they have been offered while others may not. It depends on the types of funding you are already receiving, your financial need as determined by the FAFSA, and your COA. 19. I have been awarded work study. What do I do now? If you were awarded work-study as part of your financial aid package, you will need to accept this award offer in your myWCU account. Students who have accepted their work study offer will receive an email prior to the start of school with instructions about obtaining a work study job. You must obtain a job and complete all hiring paperwork prior to the deadline stated in the email, otherwise your work-study award will be cancelled and the funds will be awarded to other students. 20. How do I find a work-study job? You will need to review the list of available jobs on the work study website and contact the supervisors for the jobs in which you are interested. The Financial Aid Office does not place students in work study jobs. 21. Can my work study be used to pay my bill? No. You will receive a paycheck on a bi-weekly basis during the semester based on the number of hours you have worked. You can then use your work study paycheck for your expenses, or put it aside to assist with your billing charges for the next semester. WCU is unable to hold work study funds in accounts for students. 22. I wasn't awarded work study. Can I still work on campus? There are non work study jobs available on campus. Please contact the Career Services Office for additional information. 1. How do I use my financial aid to pay my bill? There is nothing special that you need to do. Your financial aid will automatically be applied to your billing charges. If your financial aid does not fully cover your charges, you will be responsible for paying the remaining balance by the payment deadline. The WCU Controller’s Office produces bills for registered students before each semester. If you have been awarded financial aid, all awards accepted by you, except work study, will be considered as a source of funds to cover the balance. The bill will list all university charges and estimated credits (expected financial aid). If you are receiving more financial aid funds than the charges on your account, you will NOT need to make a payment. Your billing statement will reflect a negative balance. You should receive a refund of any excess funds approximately three weeks after school starts. If your financial aid award funds do NOT cover your full charges, you must submit payment for the remaining balance by the payment deadline, to avoid having your classes dropped. You can go to the Student Accounts Office webpage to see how to pay your balance, or you can set up a payment plan from Tuition Management Systems. 2. What if I can't pay by the deadline? If you do not make payment or set up a payment plan by the payment deadline, your class schedule will be dropped. 3. Can I make payments for my tuition? Yes. WCU uses a third party company to manage payment plans. This can be set up for one semester or for an academic year (fall and spring semesters only). There is an enrollment fee, but there is no interest on the amount owed to the university. To set up a payment plan, you should contact Tuition Management Systems (TMS) directly at 800.722.4867. 4. I had enough money to cover my fall charges (or get a refund for fall), but now I owe money for spring. Why? Have you incurred any fines? Have you moved to a different residence hall or changed meal plans resulting in different charges? Deposits ($150 for all residential living students and $150 tuition deposit for new students only). Deposits are credited to your first semester of enrollment as payment. 5. Why can't I get enough federal student loan money to take care of my costs? Congress limits the amount of federal student loan a student can borrow each academic year. **Note: Students may not exceed COA. 1. My financial aid is greater than my semester bill. How do I receive the excess funds? Any financial aid funds not needed to cover your billing charges will be refunded to you approximately three weeks after classes begin. There is nothing you need to do to request that this money be refunded. You are encouraged to set up direct deposit through your bank. Refunds are typically generated during the third week of the fall and spring semesters, and in early June for the summer sessions. 3. How do I sign up for direct deposit? Click here for instructions on the Student Accounts Office website. 4. How will I get my refund? If you do not set up direct deposit in myWCU, a paper check will be mailed to your mailing address. 5. Why didn't I get a refund? Steps not completed for loans. Students have three steps to complete. You must first accept your loan(s) in myWCU by going to the award overview tab. Then, you will need to go to studentloans.gov and complete entrance counseling and sign the master promissory note if you have not done so in a prior year. For parent loans, the parent must apply for the loan and sign a master promissory note at studentloans.gov. No attendance grade. Instructors are required to report attendance grades for students. If you have not attended class, you will not have an attendance grade. If instructors fail to submit their attendance grades, your aid may be delayed. Students, who have course registration for fall, but no attendance grade, will receive an email from our office following the drop/add period. You must reply to our email to receive your aid. 6. Can I use my refund to buy things at the Bookstore? You can use a portion of your refund to buy books and supplies at the Bookstore during the first week of classes each fall and spring semester. This amount is shown as financial aid points. 7. Why doesn't the refund amount on my Bookstore receipt match the refund amount in myWCU? Only a portion of your refund (financial aid points) will be available for use at the Bookstore. The Bookstore receipt reflects what is remaining from only the portion available for use at the Bookstore. 1. How does my academic performance affect my financial aid? Students are required to maintain satisfactory academic progress (SAP) in order to remain eligible for aid. The satisfactory academic progress policy is consistent with the university's academic standing policy which can be viewed at catalog.wcu.edu under Academic Regulations. 2. I'm not doing well in a class and would like to withdraw from it. Will that affect my financial aid? This is different for every student. Some students will lose financial aid the following semester, while others may not be immediately affected. You should make sure you understand all of the repercussions that come with course withdrawal before you make your final decision to withdraw. If you have any questions about this matter please contact our office. 3. I'm no longer eligible for financial aid, what other options do I have? You may pay your balance in full, set up a payment plan with TMS for the balance due, or try and obtain a private alternative loan. If you are interested in applying for a private alternative loan, you will need to contact the lender directly. These are based on credit and may require a co-signer. Click Here for a list of preferred lenders, but you are not restricted to those lenders. 1. What if my family's situation changes? We do have a special conditions appeal process for certain situations. You should review the appeal forms listed on our website to see if we can give consideration to your particular situation. While the FAFSA is intended to determine the amount a family can reasonably be expected to pay (EFC) toward a student's college costs, occasionally situations arise that are not reflected in the FAFSA information. The Department of Education grants the Financial Aid Office the authority to use professional judgment on a case-by-case basis to adjust elements in the federal need analysis and/or the cost of attendance budget to take into consideration a family's special circumstances. For further details and forms needed to request consideration through the special conditions process, continue to the Financial Aid Office forms page. Choose forms for the aid year you are requesting the special condition appeal. Cost of attendance adjustments increase the total amount of financial aid you are eligible to receive. They do not increase your eligibility within individual aid programs. Most often COA adjustments result in an increase in student or parent loan. To request a cost of attendance budget increase, please submit the appropriate form and all supporting documentation to the Financial Aid Office. 2. What about financial aid for summer school or study abroad? Summer financial aid awards are packaged separately from fall/spring awards. Types of financial aid available for summer include student and parent loans. Since summer semester is part of the academic year (fall/spring) just completed, only unused eligibility for student and/or parent loans can be awarded. Your eligibility for loans also depends on your grade level since maximum annual loan eligibility varies with grade level. 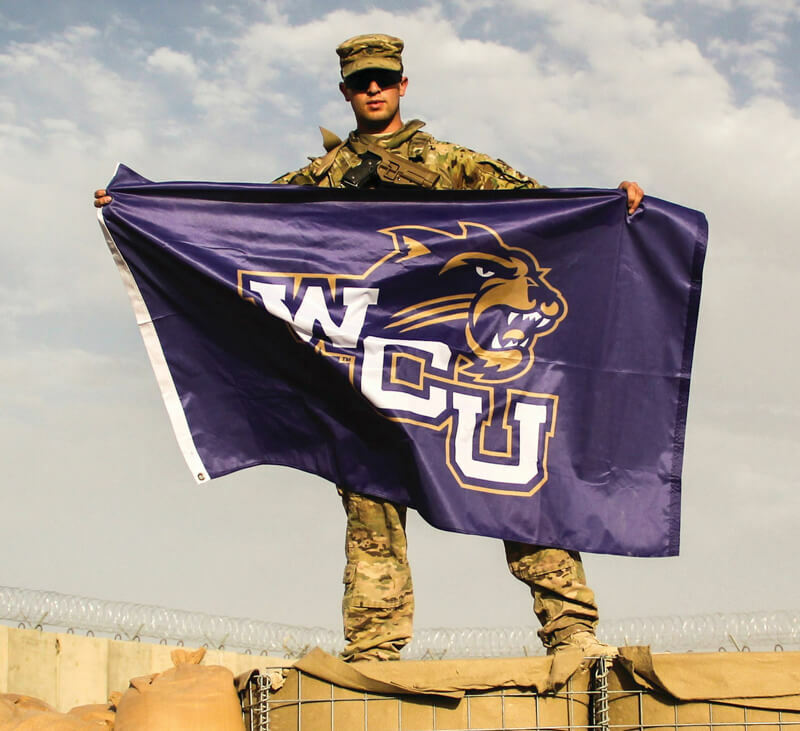 If you are transferring to Western Carolina you may be eligible for some of the same types of aid you received at your previous school, but will still need to go through the full awarding process. To begin this process, you will need to log into your existing FAFSA to add our school code. You must have completed a 2017-2018 FAFSA. Enroll in a minimum of six hours (for undergraduate students) and three hours (for graduate students). Financial aid is available for study abroad. Financial aid is available for WCU exchange programs. Your financial aid study abroad budget will generally include tuition, fees, room, meals, administrative costs, insurance, passport, visa, airfare and some miscellaneous in-country expenses. Make sure to apply early. Financial aid procedures for study abroad will take additional time and planning. If you have scholarship support, you can usually apply this support to approved study abroad programs. Many external agencies offer grants, scholarships, and fellowships to help students study abroad. Successful completion of the study abroad program will affect your financial aid status in the same way that it would if you had studied on campus. However, because you will receive transfer credit for your study abroad program, your grades received overseas will not be reflected in your WCU GPA. It is your responsibility to ensure that your transfer credits are evaluated and posted to your WCU transcript promptly upon your return. If you are considering a study abroad program, you should contact the Study Abroad Office. 3. Where can I see how much loan money I have borrowed? 4. What do I need to do so that someone else can discuss my financial aid with you? You will need to set up a release of information security PIN. This is done in your myWCU account by clicking on the release of information link on the left side of the screen. Anyone requesting information about your account will need to provide the 6-digit release of information security PIN that you have set up in myWCU along with your university assigned identification number. 5. How will living off campus affect my aid? You will be offered the same amount of financial aid whether you live on campus or off campus in an apartment. After your tuition and fee charges are covered for the semester, you will be refunded any financial aid funds that aren't needed to cover those charges. You can then use that refund to help with your apartment expenses. 6. Can I use my financial aid to purchase a computer? Can I be reimbursed for purchasing a computer? Financial aid may be able to assist with this expense. For most students this assistance will come in the form of either student or parent loan. Please review the Computer Allowance Request Form on our website for further details. 7. I'm going to be leaving my job to return to school. Will I receive enough financial aid to cover my living expenses? Probably not. The purpose of financial aid is to provide assistance for your educational expenses, not serve as a source of income. 8. I have been asked to provide a degree plan. Why? This could be for several reasons. We can only give you financial aid for courses required for your degree. If we have requested this documentation from you, we are trying to verify your course enrollment.